1959. 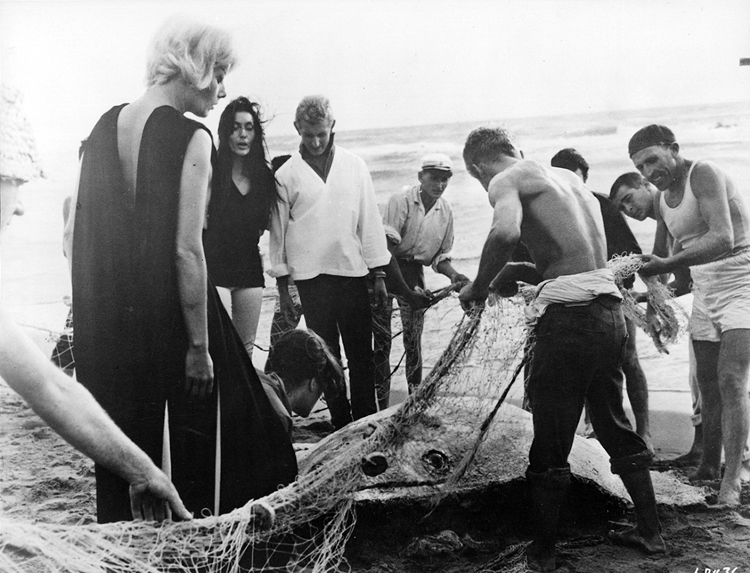 Federico Fellini’s film, La Dolce Vita, finishes on a beach near Rome, where the party of revelers come across the bloated corpse of a stingray-like creature caught in the fishermen’s nets. It brings to mind the discovery of the corpse of Wilma Montesi in 1953. Photo attributed to Pierluigi Praturlon.